Weeks Dye Works offers embroiderers a variety of products to help create that perfect project. 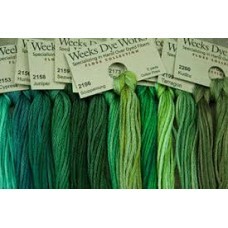 Weeks Dye Works' Floss Collection is a hand overdyed, 6 stranded Egyptian cotton. The colours ..